This post will show how to replicate the Matlab montage function using Python. The Data Wrangling blog seems to be getting search traffic from people learning python and looking for machine learning code, so I'm adding a few basic code snippets that you might find useful. 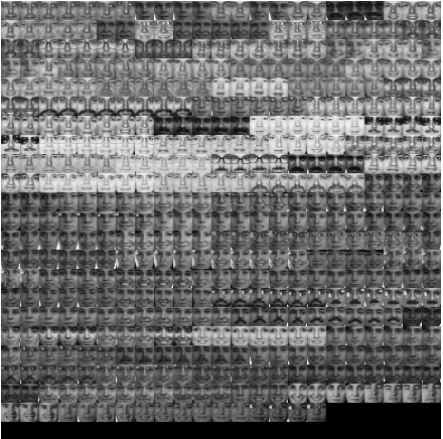 Later posts will include Python examples that use the montage function to visualize pattern recognition and collaborative filtering algorithms. In the past, I used Matlab for prototyping, but over the last few years I have switched to a combination of numpy, scipy, matplotlib, and ipython. When combined with the appropriate libraries, Python can have better numerical performance than Matlab or Octave, nearly identical functionality, and the additional flexibility of Python when you need to munge some text or expose your algorithm as a web service. Anyway, lets get to the problem at hand... replicating the montage function. For this example, I dug up some data from a Sebastian Seung course on neural networks I took in 2005. The matfiles we used are now on Open Courseware. 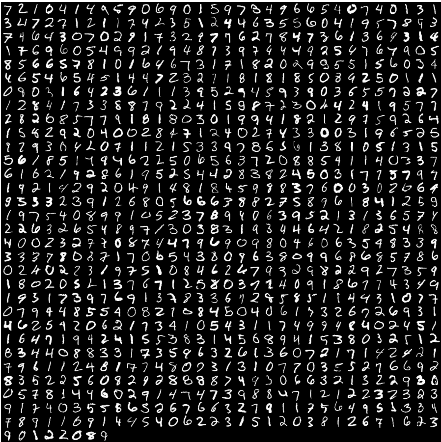 I think these are cropped versions of images from the MNIST database of handwritten digits (more image datasets here). This functionality is built into the Matlab Image Processing Toolbox, but seems to be missing in matplotlib. 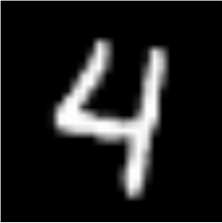 Web searches turn up some similar code that uses the Python Imaging Library or examples based on Gimp, but they operate on image files instead of numpy matrices. I wanted something that closely replicated Matlab's montage() functionality which could be called interactively with matplotlib. Some additional digging turned up a nice octave script (in Finnish), which basically turns this post into a example of translating octave/matlab syntax into python. # for each face, which has been reshaped into a vector. For those of you unfamiliar with EPD, it's a "kitchen-sink-included" distribution of Python with over 60 additional tools and libraries. It's bundled into a nice MSI installer on Windows and includes NumPy, SciPy, IPython, 2D and 3D visualization, database adapters and a lot of other tools right out of the box ... EPD is compelling because it solves a lingering packaging and distribution problem, but also because of the libraries which it includes.